Our day started in what I normally would call “the middle of the night.” Let me just say, I am not an early morning person by any sense of the imagination. But we all needed to be at the airport at 4:30 a.m. Ugh! With the exception of two of our members, all were present. We missed them and wished they could have been with us. 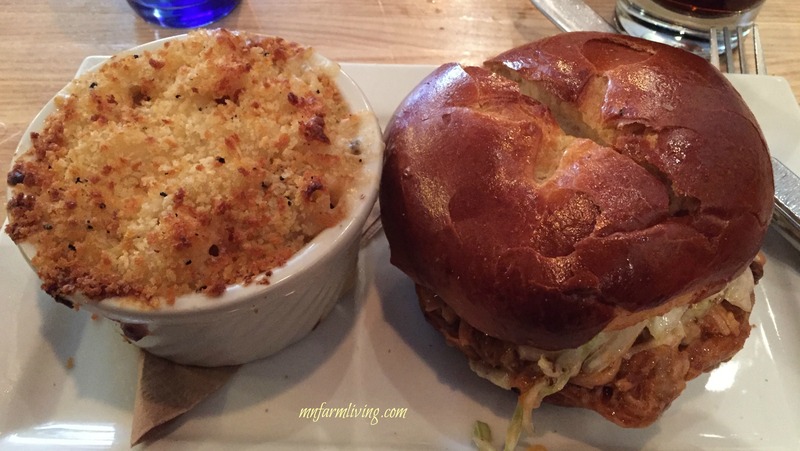 After we arrived in Washington D.C. we grabbed some lunch. 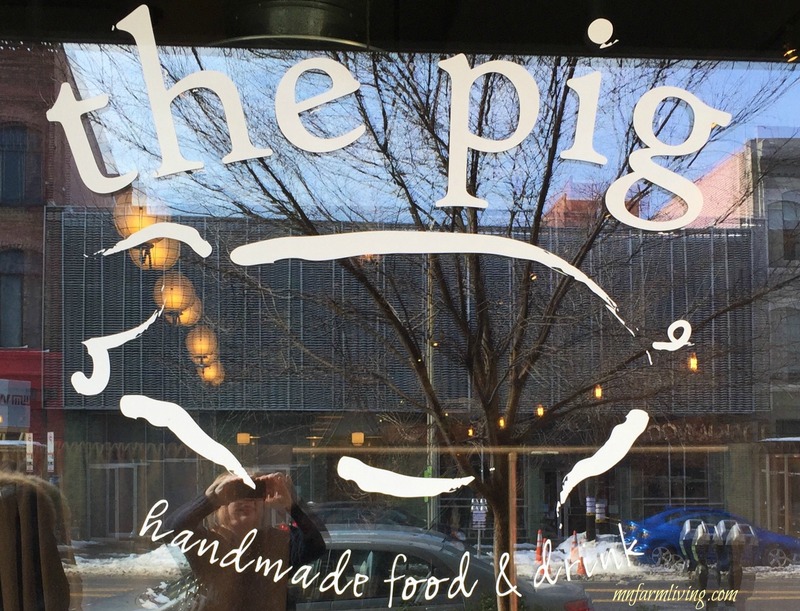 A few of us chose to eat at “The Pig.” How could I resist going to a restaurant called The Pig? And you guessed it–pork dominated the menu. I ordered a BBQ pulled pork sandwich which was done to perfection. The BBQ sauce did not overpower the sandwich, which allowed me to savor the tender and moist pork tastes. After an orientation, we split into groups where we participated in the “Amazing Race D.C. Style.” No prizes and, thankfully, we didn’t get sent home if we came in last place. Our mission? Open our envelope and find the listed Washington D.C. establishments and take a picture of each of them to prove we found them. The activity also gave us a chance to purchase a Metro card and use D.C.’s main transportation system, the Metro. My walking shoes logged over eight miles on day one. Thank goodness I had stamina due to my working out at the gym! On day 2 we had to choose either to visit the Moroccan or the Australian embassy. 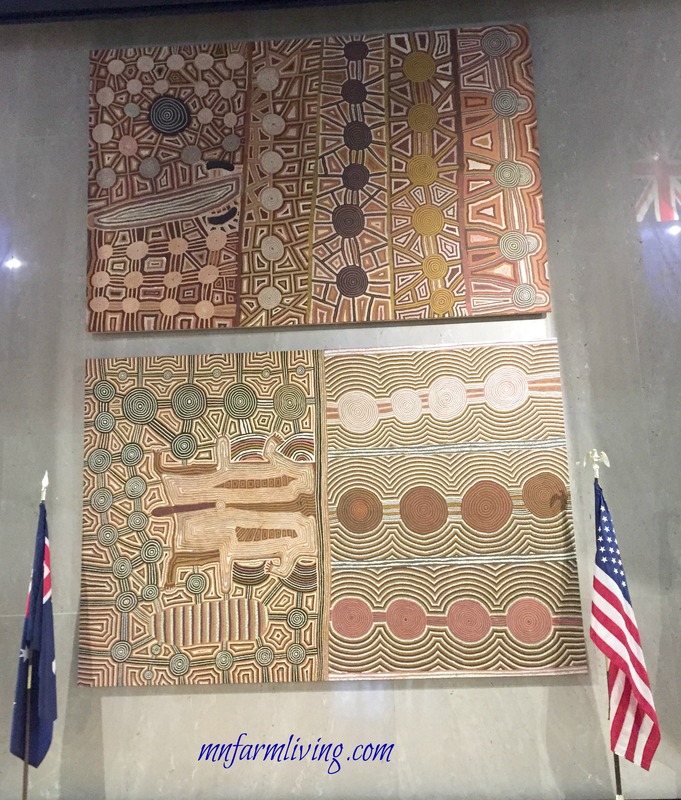 I chose the Australian embassy and I must say, it was a good choice! This was my very first visit to an embassy and didn’t know what to expect. Dr. Chris Parker met with us and was very hospitable. He presented us with some basic ag information about Australia and then opened it up to questions. Did you know Australia is about the same physical size as the United States? Even though our countries are close to the same size, our agriculture is different. The center section of Australia cannot grow crops because it’s a desert. The majority of their crops are grown along the outer edges of Australia. The top three products Australia exports is beef, sheep and wine. All their beef is primarily grass fed, mostly due to the country’s terrain and lack of other animal food sources. A note of interest – Australia does not like the U.S. farm bill. They feel it skews the global markets because of the crop insurance subsidies American farmers receive. Another interesting aspect is the way Australia handles farmer’s disaster needs. Their view is farmers need to be more sell-reliant – to basically put away money during good years to be used later when they need it during times of inclement growing conditions. In the afternoon we made some last minute changes. Our original plan was to visit the Cuban Interest Section, but due to some unforeseen events, we were not able to meet with them. As an alternative, I chose to visit the Holocaust Museum. I had never been there and I wouldn’t be honest if I didn’t say I had some reservations. I knew it would be painful and draining. But, on the other hand as a people of this world, we need to acknowledge our history, no matter how painful. And painful it was. I just can’t believe so very few people knew about the concentration camps and if they did, so very little help was given. Our own President Roosevelt offered no help to the Jews. Just so sad this was allowed to happen. Two out of every three Jews were killed during this time period. This is the only picture I took and I felt guilty about taking this one. I am part Danish so this was particularly interesting to me. 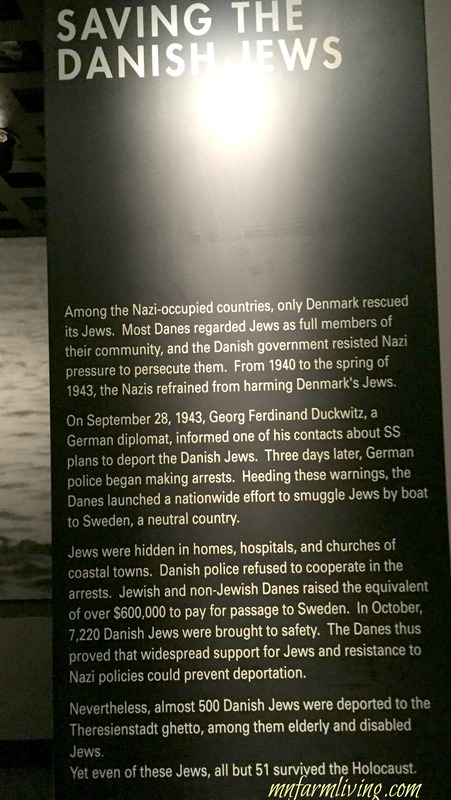 The Danes did help their own Danish Jews, but they were one of the very few that helped. Shameful. The evening was capped off by a Night Tour of the Monuments. First, I need to preface that our weather in Washington D.C. was cold. In fact, I think we had a day or two that was colder than Minnesota. Second, I need to state that I HATE the cold. Our night tour was on a trolley where they rolled plastic over the open windows. We did have some heat. And “some” is the key word. Bottom line – it was COLD, VERY COLD. I did get out on the first monument but chose to stay in the trolley during the rest of the tour. 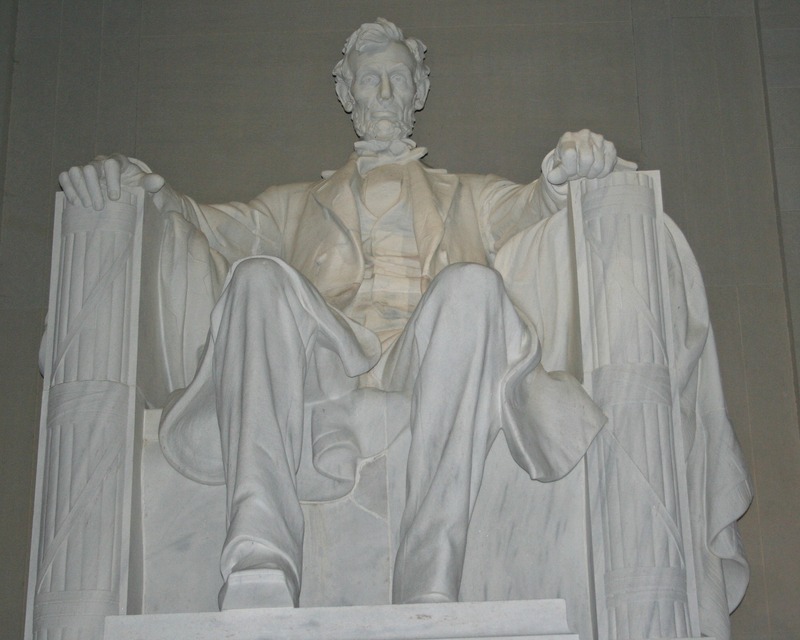 Luckily, I had been on this tour a couple years ago and did see these same monuments. 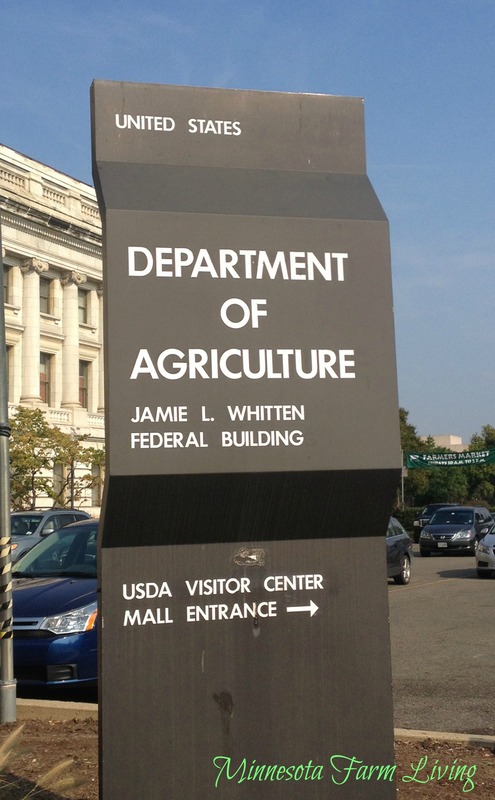 Our morning started with visiting the USDA (United States Department of Ag). We met with someone from the Ag Statistics, USDA veterans program and the Climate Hubs division. All three speakers were interesting. The afternoon’s goal was to meet with our representatives from the House. I met with three. 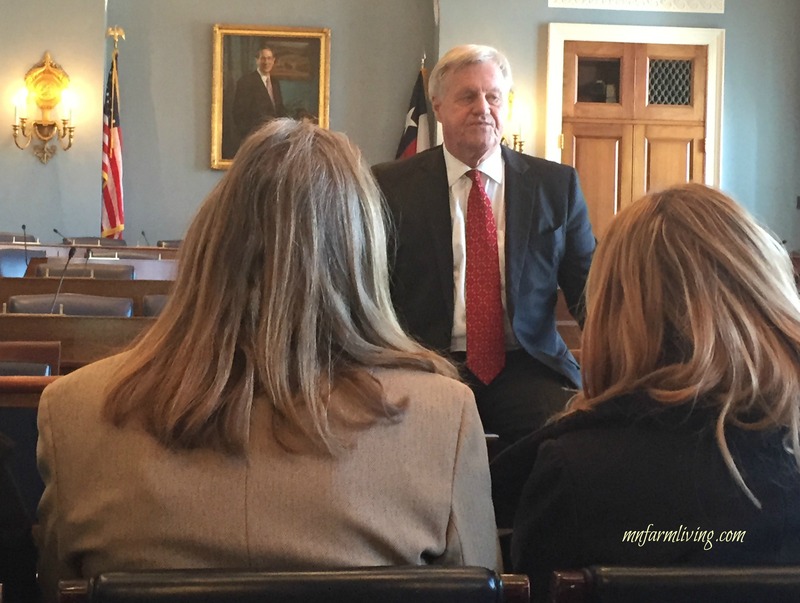 The first representative was Collin Peterson in the Ag Committee room. Collin is such down-to-earth person and Minnesota is very lucky to have him representing us. I respect that he votes in what is in the best interest of Minnesota and not strictly by party lines. 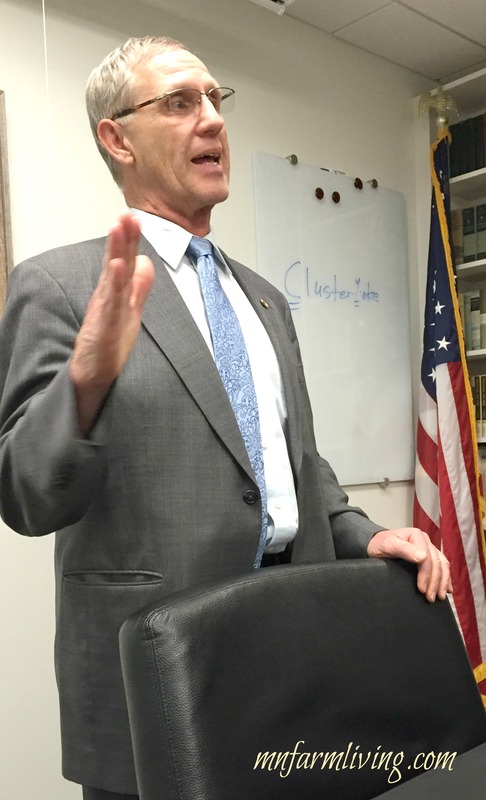 May I say we need more congressmen like him? My second visit was with Rep. Tom Emmer. As a new congressman, I met Rep. Emmer when he ran for governor against Mark Dayton in the last election. He is not a farm kid but I have to give him a lot of credit for learning about agriculture. He has learned to love agriculture (I have the same story) and is on the Ag Committee. Rep. Emmer was not present so we met with his staffers. The last representative I met with was my own – Rep. Tim Walz. As I sat there listening to Rep. Walz, I could not help but think and wanting to ask, “Doesn’t it just take your breath away some days to realize where you are and what you are doing?” I was just in awe. We capped off the day with dinner at Gadsby’s. Gadsby’s is a colonial tavern located in Alexandria, Virginia since 1770. Historical dignitaries such as George Washington, Thomas Jefferson, John Adams, James Madison and James Monroe have all dined there. 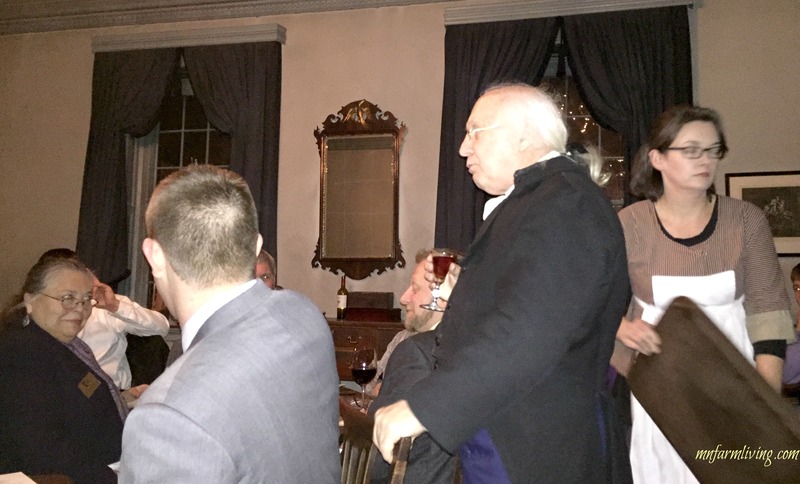 Nearly all of the founders of American Independence enjoyed Gadsby’s Tavern. No public building in America is more intimately associated with the struggle for independence and establishment of national sovereignty. For nearly a century, it was a center of political, social and cultural life in this important colonial seaport community. And for our added enjoyment, we had a “colonial guest” who added much entertainment for the evening with his period comedic banter. Our group was fortunate to receive a White House Tour. And here I will insert my personal comments. I was a little underwhelmed over the White House. And I am thinking what I pictured in my imagination about the White House was something bigger and more grander. And I am not saying it wasn’t grand, just wasn’t quite what I thought it would be. The tour is self guided (probably due to budget cuts). Our tour was at 11:00 a.m. and after going through three levels of security checks, we entered the White House. By 11:25 a.m. I was walking out the door. Even with my feelings of underwhelmedness, I am glad I had the opportunity to be “up close and personal” with the White House. And one of our MARL group members said he saw “Michele Obama in the shower.” Haha! Glad we have his humor in our group! Our next item on the agenda? Professional appointments. We all chose who we wanted to visit while in Washington D.C. I attended two appointments. 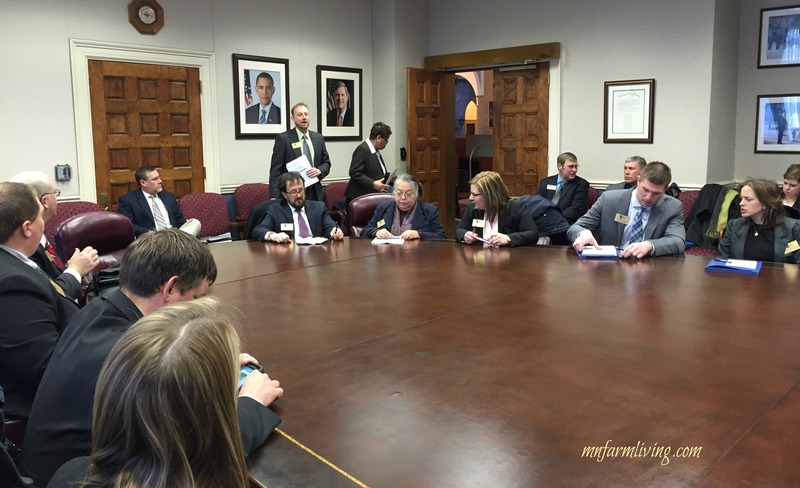 The first appointment was at the National Pork Producer Council office. Director of Communications, Dave Warner, talked with our group about the top issues pork producers are facing. 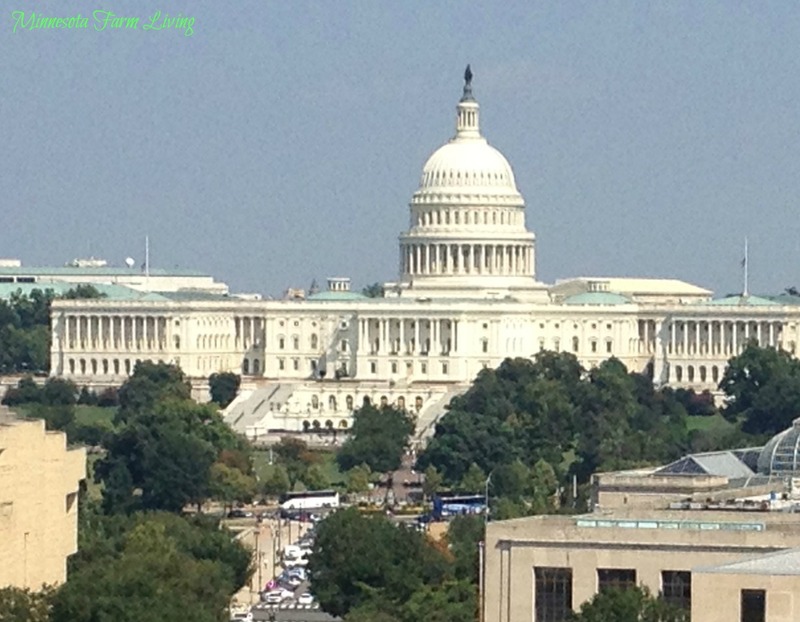 TPP, TPA, and the new dietary guidelines topped the issues. 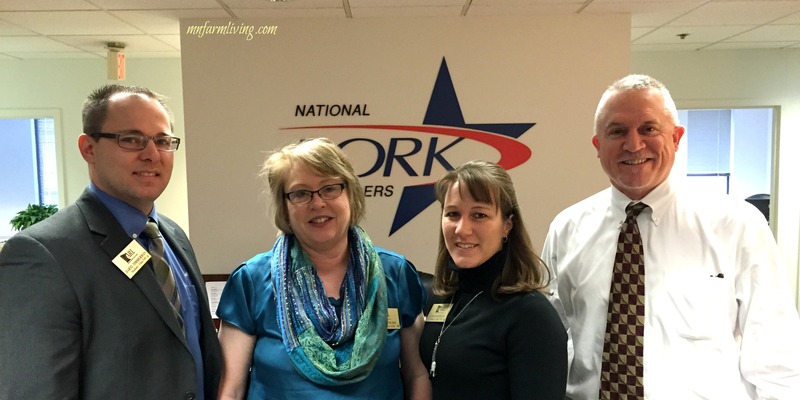 Our second appointment was with the Capitol Area Food Bank, which is a member of the Feeding America network. The Capitol Area Food Bank is housed in a 3-year old building and is used as a distribution warehouse. They have 500 partner agencies who come to Capitol Area Food Bank and stock their own food banks, which is then distributed to people in need. They have grown immensely and employ donated labor. 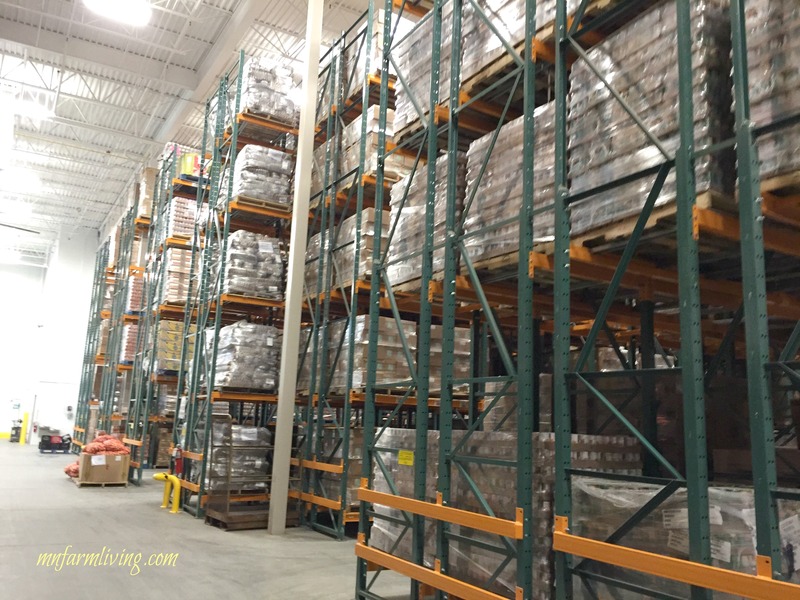 Walking through the warehouse, we all noticed no “junk food” such as cookies, chips and pop. Lots of fruits and vegetables. 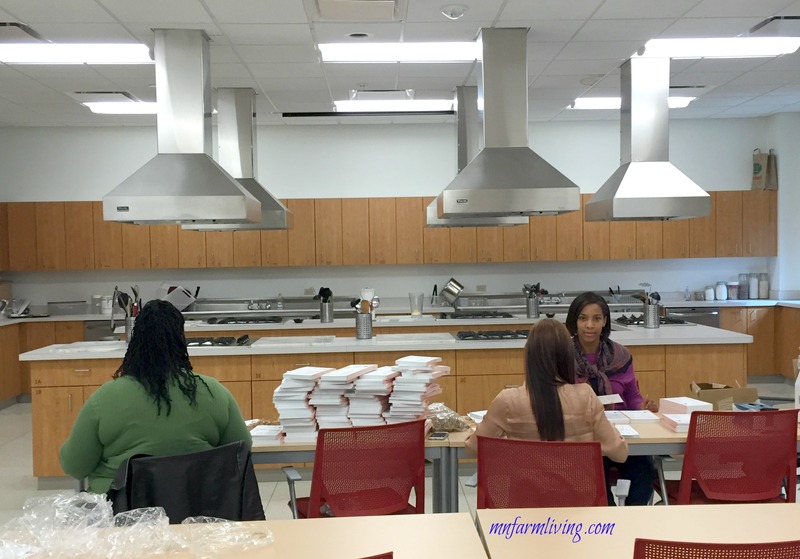 In addition to the food warehouse, they also have a training kitchen where the partner agencies are trained in preparing meals with feed ingredients prevalent at the food banks. These partner agencies will then take the information back and teach those who use the food banks how to prepare healthy meals. Very similar to a train the trainer program. They did have some meats but not as much as I thought there would be. In the pork freezer I saw a lot of sausage types of meats (and even turkey sausage, ahem . . . ). I am not being critical but these were my observations. And I do understand meat presents a whole different component. 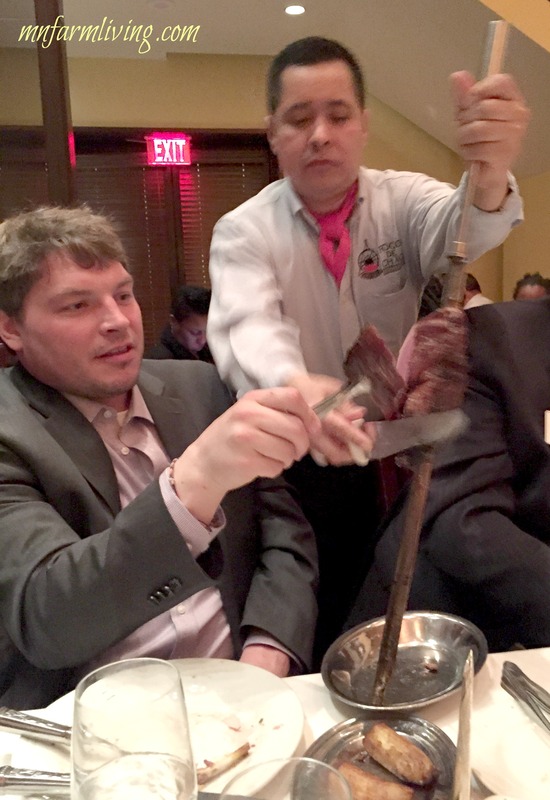 They do not deal with any fresh meats. At all. Interestingly, waste type foods are stored in bins where a pig farmer will come and pick them up to feed pigs. Our group then met back at American Farm Bureau for a social where we met up with the South Dakota, Indiana and Washington “MARL” groups. We split into mixed state groups and went out to dinner. Dinner and conversation was enjoyed by all. It was fun to talk about our specific ag issues, how we differ and how we are the same. 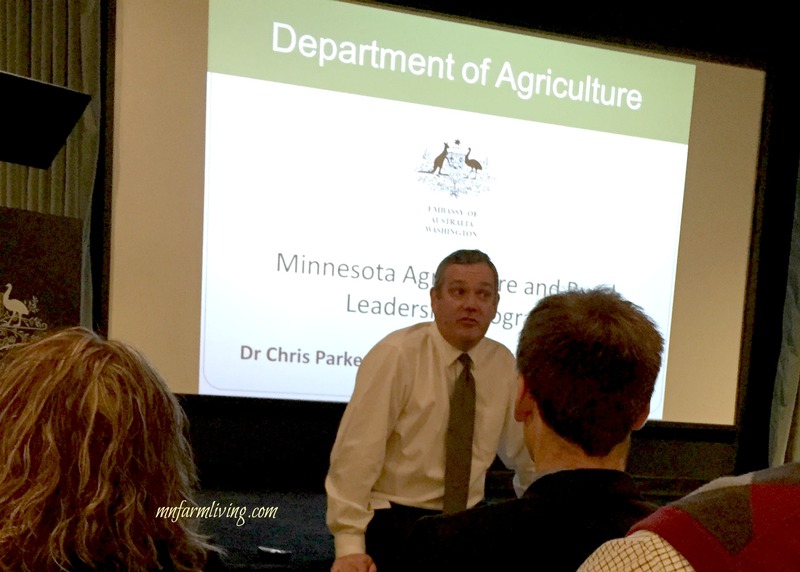 Day 5 – Senate, Capitol Tour, Farmers Union, and Leadership Activity. We started our morning with having our picture taken with Senator Klobuchar. The Senator had a judicial hearing to attend so her time with us was very limited. 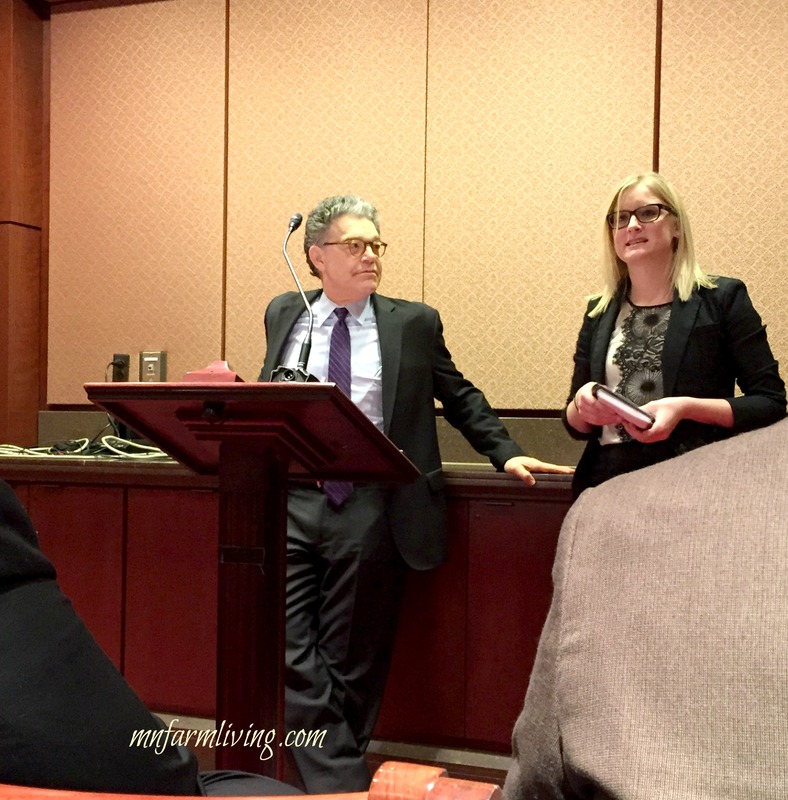 We spent a little more time with Senator Franken. After our meetings, we were all given a capitol tour. The history in the Capitol was priceless. After our tour, we walked to Farmers Union and met with President Roger Johnson. We finished our afternoon by participating in a Leadership Search Activity. To complete this activity, we needed to choose a venue and find examples of leadership. 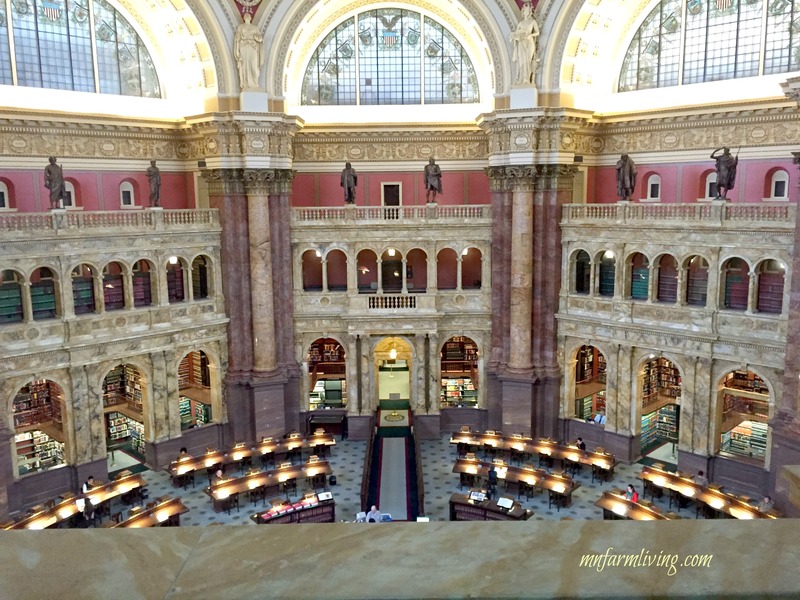 The Library of Congress is where I headed. This is a BEAUTIFUL building. If you watched the move, National Treasure, these pictures will look familiar. The example of leadership qualities I gave was how President Lyndon Johnson helped pass the Civil Rights Act of 1964. 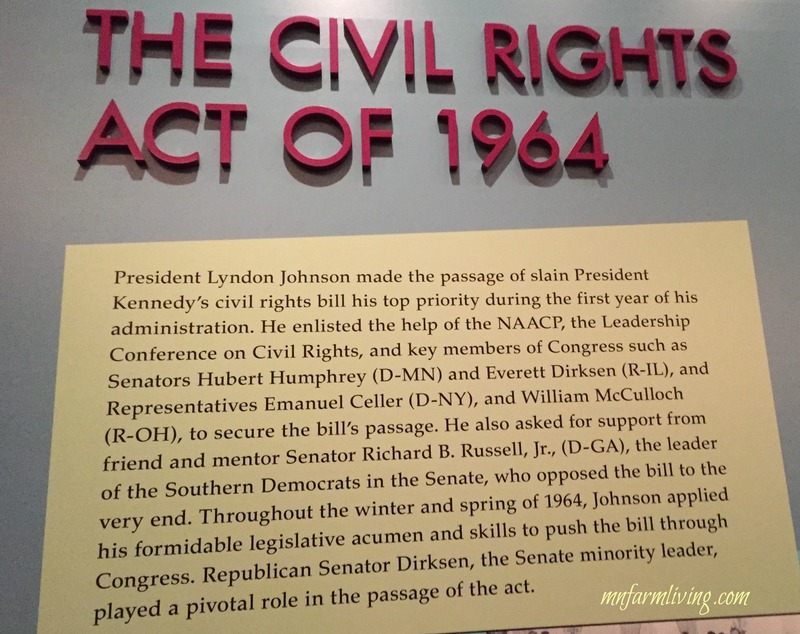 President Johnson needed to work with both republicans and democrats, along with organizations such as the NAACP and even needed the support of those that did not approve of the act. The leader of the Southern Democrats, who opposed the bill, was a friend and mentor to President Johnson. When you are friends, I believe issues can be worked out. Face-to-face, respectful contacts and conversations result in compromises. And the passage of the Civil Rights Act of 1964 was a great example of this. Our government needs more contact with each other outside of the Capitol building. Our congress members do not socialize together as much as they should. We can learn from our history. And MARL is another example of how to work together. We are a very diverse group, all with different views and opinions. But we are friends and we respect each other. It is my opinion that we honestly try to look at each other’s perspectives. And I also truly believe if we had to work out issues (like congress) we could do it. We would all give a little to receive a little. No one group or person has all the answers. Even though I kind of knew this, this activity solidified it. My big “aha” moment. Day six took us out of Washington D.C. We headed north to Gettysburg, Pennsylvania to the Gettysburg Visitor’s Center. At the center, we watched a short video on the Civil War and also looked at the Cyclorama. 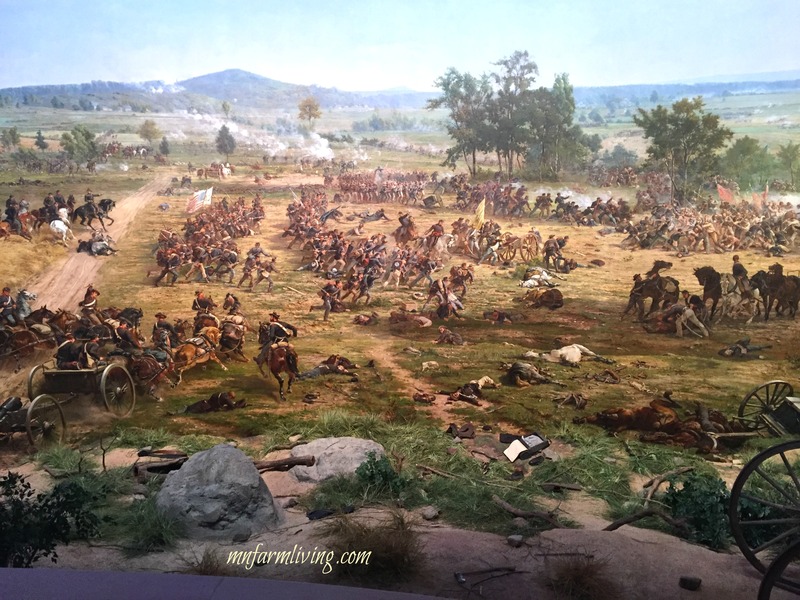 The Cyclorama is an oil painting presented in a circle that depicted scenes from the Civil War. It was beautifully done. As we looked at the painting, we also listened to a narration with added lighting effects. At times it had a 3D effect. Next we spent some time in the museum, which included extensive artifacts from the Civil War. Very impressive. We finished our Gettysburg excursion by having a tour of the battle sites with out very own tour guide, who had a wealth of information. Our tour came to life because we were right where it happened and our tour guide explained how and where the battles occurred. I had no idea there were so many memorials in the battlefield. The amount of lives loss during the 3-day battle was incomprehensible. 10,000 lives lost in one day. Our last place to visit was the Eisenhower Farm. President Ike Eisenhower loved the farm. Evergreen trees, that were donated by every state, lined the driveway. He bought the farm because soil conservation interested him. 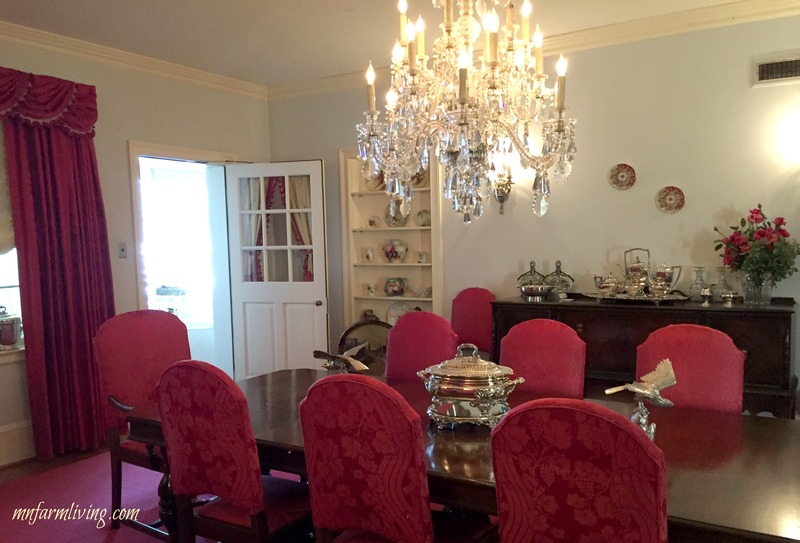 The tour of the house contained 97% of the original artifacts from the original house. The most interesting part of this story was when Nikita Khrushchev from the USSR visited President Eisenhower at the farm. Khrushchev was an arch enemy of the U.S. but President Eisenhower invited him to the U.S. to visit anyway. They quickly found something they had in common – grandchildren. Again, another example of how to engage with those that do not agree with you. That is a true example of leadership. Couple other miscellaneous notes from the trip – Uber is cool. Uber is an app you load on your phone and it’s linked to your credit card. As an alternative to a taxi, you can request an Uber vehicle. From our experience in Washington D.C. Uber vehicles have nicer and bigger vehicles. The process is seamless. You request an Uber vehicle from the app and you can watch the vehicle on the screen. Once you have reached your destination, you simply leave the vehicle and the charge is automatically applied to your credit card. No tips because tips are included in the fee. Many of us loved using it. We walked a lot. I logged about 38 miles of walking during our trip. Two days I logged over 8 miles. It’s important to have comfortable shoes for a trip like this. Your feet will appreciate it. All in all, this was a fabulous trip. Many of us could hardly take it all in because there was just so much we saw and experienced. I truly am blessed. 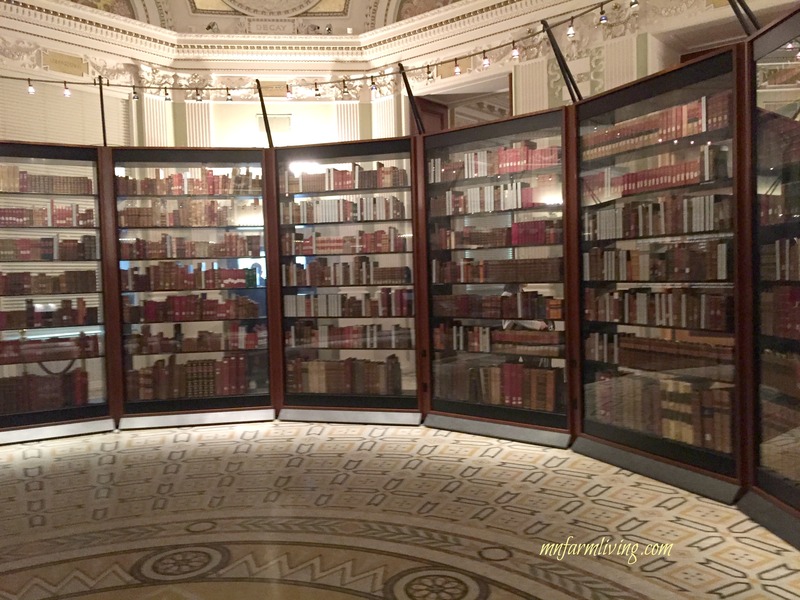 My friend, Sara, also blogged about our MARL Washington DC trip. Be sure to check it out! Well done Wanda. Seems like I was there….oh wait, I was. What a great trip and you are right what a great group of people to have in our class, especially an exceptional blogger! Thanks Barb! And same to you! We are all fortunate to have you in our MARL Class VIII (best ever!)! I’m tired just reading about everything. Are my feet supposed to hurt while reading? I think they’re having flashbacks. Thanks for the great summary. Thanks Betsy! My feet sure appreciated the pedicure today! Very good recap Wanda! Now as my memory fades from age I know where to go for an accurate recall of the events. Thanks Steve! And I know about what you are saying about “memory fades.” 🙂 I have those moments. Awesome! What a phenomenal experience–thank you for sharing!